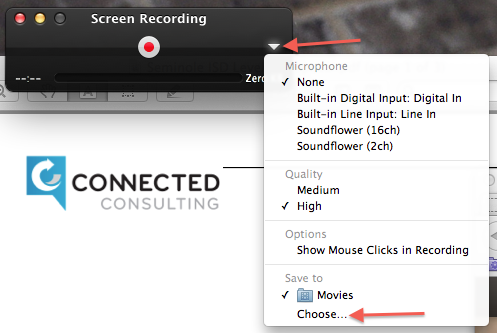 Click on red record button to start recording. 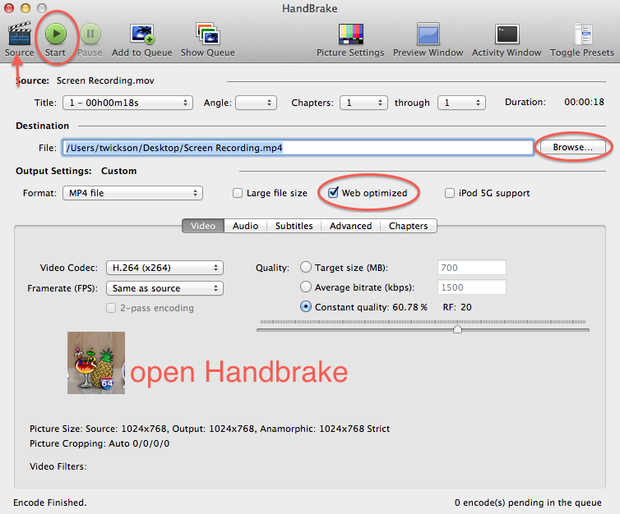 Handbrake is an application that can be downloaded from the internet. When you open Handbrake, you will need to find your screen recording. 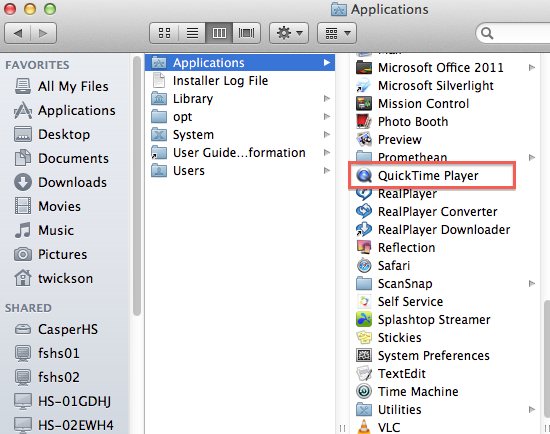 Click on Source to Browse to your Desktop to get your recording. You will need to check Web optimized to make the video smaller. This will compress your video, so it will be easier for students to download on their computer. Once you have your recording, then press Start. You should see a progress line at the bottom of the screen. It will say Encode Finished when your video has been compressed. Add your video to your Edmodo class. 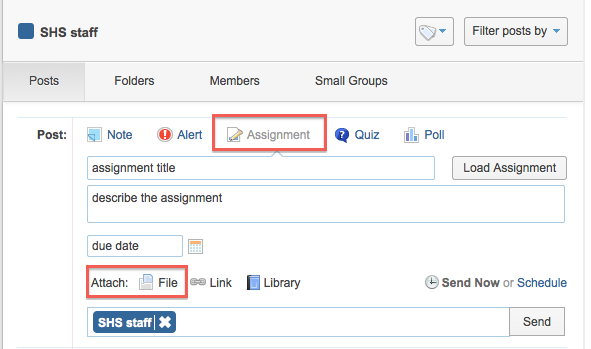 If you add it to an assignment, it will show up on the calendar. This might make it easier for your students to find your video. It will also show up in your library.